This is true. No matter how much skill and experience a skier has on the slopes, the negligence of even a second can lead to serious accidents. The history of the best skiers is proof. However, we can all minimize the chances of accidents and injuries by wearing ski helmets. According to the “National Ski Areas Association”, head injuries can be reduced by thirty to fifty percent with the help of ski helmets. Undoubtedly, this makes it one of the most important of all ski equipment. Who said that you won't look good while wearing your ski helmet? Now there are various types and designs of ski helmets available at ski equipment stores. Just check them out, buy one for yourself, and wear the coolest ski helmet! Would you like to tell us why you wear a ski helmet? Ski helmets insulate your head from winds while protecting your ears from getting frostbite. Furthermore, if you want to stay out skiing longer, wearing your ski helmet will be an ideal option to maintain your body temperature. As you feel maintain your body temperature, you will be able to enjoy skiing more. Ever thought of enjoying special features within your ski helmet? 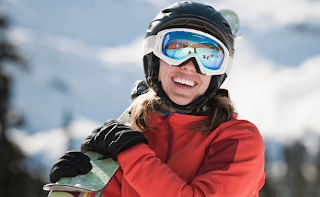 With the inclusion of special pockets, ear phones, and many other interesting features, you can now get more from a ski helmet. Do you have a tricked-out helmet? Let us know its unique features! By now, you must have a clear idea why you have heard about this simple, repetitive advice, “You should always wear a ski helmet” a million times! Of course, it is worth it for so many serious reasons. So, when you plan to go skiing or snowboarding, never forget to take your ski helmet with you. Just wear it, forget about it, and enjoy the ride! 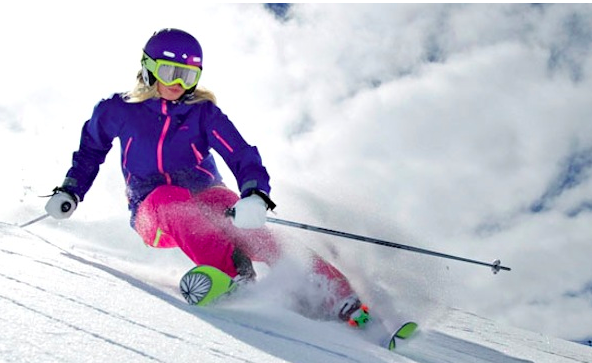 Just came up with some more reasons to use your ski helmet? Share with us your comments and let the world know about it!